2019 Toyota C-HR for sale at Jackson's Toyota! Amazing condition, at a great price! 4- Cylinder, Continuously Variable Transmission Intelligent Shift (CVTi-S), 2.0 Litre, Leather Wrapped Steering Wheel, P225/50R18, 18" Aluminum Alloy Wheels, Entune 3.0 Audio Plus, Entune Safety Connect with - Automatic Collision Notification, Stolen Vehicle Locator, Emergency Assistance button (SOS), and Enhanced Roadside Assistance (3 year subscription), Integrated SiriusXM Satellite Radio, Lane Change Assist, Blind Spot Monitor System with Rear Cross Traffic Alert, Leather Seat Surfaces, Heated Front Seats, Front Windshield De-icer, Push Button Start, Smart Key System, Power Folding, Heated Exterior Mirrors, Rain Sensing Wipers, Ambient Lighting, Puddle lamps, Auto High Beam , Dynamic Radar Cruise Control (full speed), Pre-Collision System with Pedestrian Detection, Lane Departure Alert with Steering Assist Toyota Roadside Assistance Included 3 Years or 60,000 km Full Tank of Gas Included. Jackson?s Toyota is Family Owned and Operated since 1969. Largest Toyota Dealer and best selection of vehicles in Central Ontario. This Red Beauty with Black Roof is an FWD Automatic and powered by a 2L 4 cylinder engine. 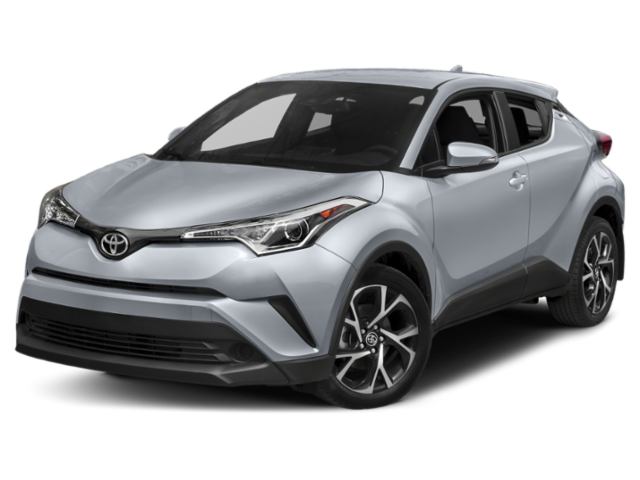 You can finance your 2019 Toyota C-HR now! You can easily fill-out a credit request on this 2019 Toyota C-HR and be pre-approved within 20 minutes! Start now.... 100% Approved, 100% guaranteed!